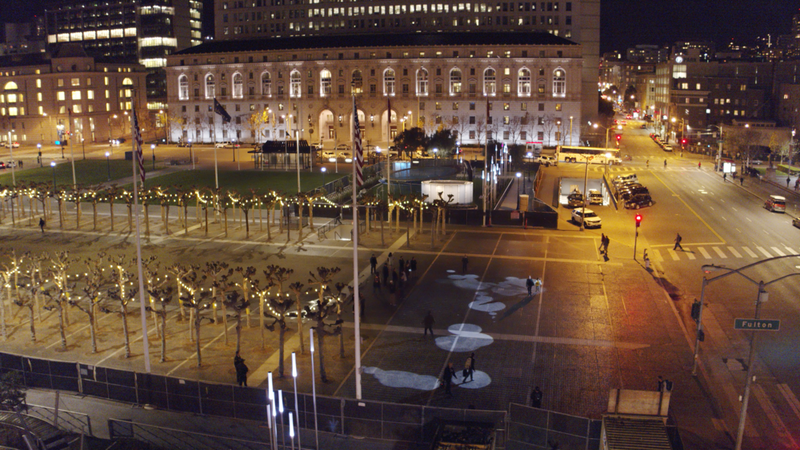 With support from the Helen Diller Family Foundation, we partnered with San Francisco Recreation and Park Department, The Trust for Public Land, and Andrea Cochran Landscape Architects to provide interactive lighting to the Helen Diller Civic Center Playgrounds at San Francisco's City Hall Plaza. Extending the theme of fog from ACLA's playgrounds into the evening hours, “KARL” spans the 140 x 50 feet plaza between the playgrounds. 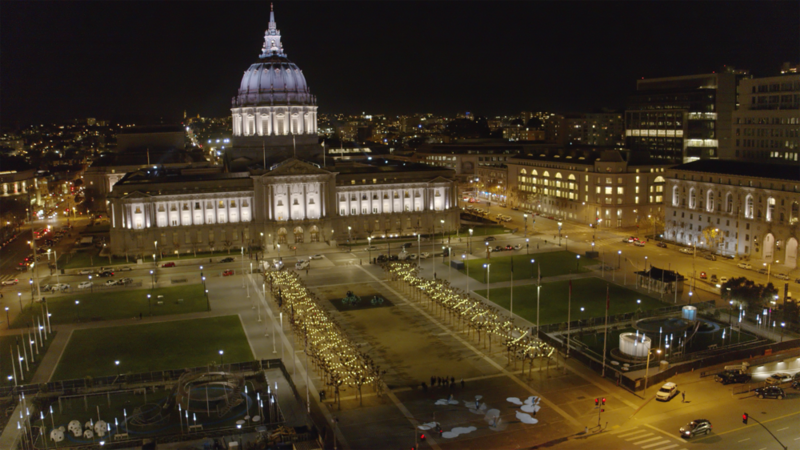 It uses interactive projected light to create an open space that asks the question “What if San Francisco’s fog visited the plaza to play with visitors?” Casual visitors will be greeted with subtly accompanying projected fog droplets and ripples of light. As visitors engage more vividly, the projected light responds with a more vibrant personality and livelier animations. To create the effect of immersive fog with a personality, “KARL” incorporates computer-vision techniques as well as a fluid simulation based on characteristics of San Francisco’s fog.